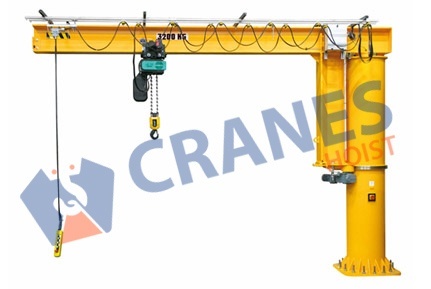 We are considered as one of the major manufacturer and exporters of jib cranes with modern features and recent control system. 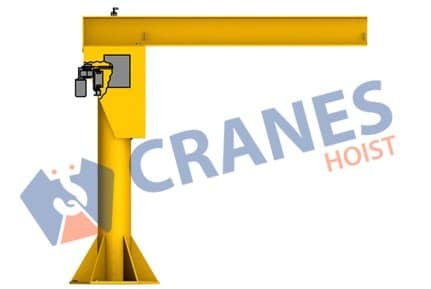 Keep in the mind the demand of our Industrial JIB cranes in varied industries and in general engineering applications, we have designed it with confirming international conditions and norms. It is used in ceramic, chemical, textile, paper and packaging, power plant, foundries and construction industries. 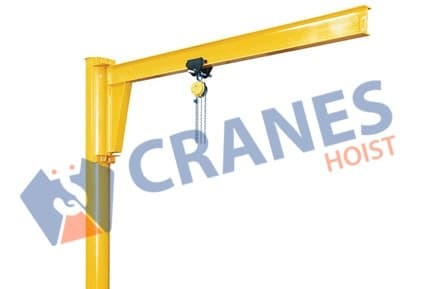 Our JIB cranes are made with optimum grade material to offer long lasting working life of the crane as well as to offer negligible maintenance. It is highly flexible material handling equipment that can be designed as per design of the work place. Load can be move along three axes. It can move in all directions like up and down, forward and backward, left and right. Moreover we offer wide capacity range to cover up all your material handling requirements. Simple and easy control system made it more accessible for the functions and objects of vast range. It can be efficiently used for heavy duty applications. It is effective to save man power and provide major work done with least efforts.